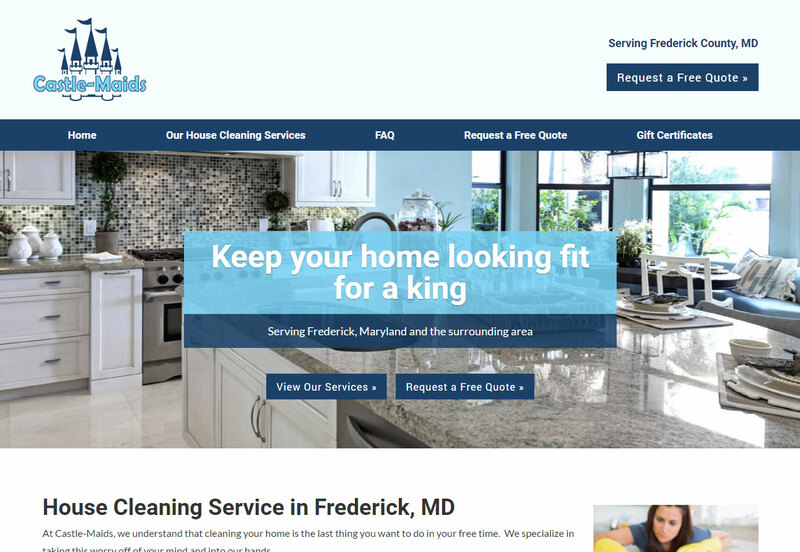 We created a new web site for Castle-Maids, a house cleaning service in Frederick, MD. The site was built with lead generation in mind. It is fully responsive, which means that it is compatible with mobile and tablet devices. It is hosted on Boombox, our cloud-based platform for small business web sites.